2017 was an adventurous and challenging year for us, we packed up and headed north for a year of work and outdoor adventures in the Pilbara region of Western Australia. We purchased a trailer from a family business in Welshpool called Loadstar Trailers and towed items for the year all the way to Karratha. We had never travelled further than Jurien Bay and traversed a fair few kilometres into a brand new landscape, one that was rugged and harsh. It was incredibly foreign to us and all the same exciting. Pilbara life was a fantastic experience and I would definitely recommend spending a stint in the Pilbara. The vast scenery of natural landscape allures travellers to the North West of Australia. The dramatic shift in biodiversity and wildlife from Perth all the way to the Pilbara was one of the most incredible drives we have completed so far in this diverse state. Travelling in summer the heat was relentless, but somehow we found humour in seeing the thermometer climb upwards. I think the highest on our drive in January was 49 degrees, which also meant it kept the flies away at Nanutarra. If you make the journey up to the North West and further than Exmouth, enjoy the outback and respect the country. Go back to basics, be self sufficient and do not forget to take some photographs of the landscape, it’s supremely epic! In this part of Western Australia there are very long distances between towns and water sources, personally I think this is the very essence of what makes the area so uniquely beautiful and adventurous. Being prepared before the trip will definitely lead to a smoother one and so would a flexible attitude, or should I say that Aussie ‘go getting’ spirit. Before the trip pick up a map from the local newsagent to store in the car in case of a weak WIFI signal. These maps have all the rest stops and roadhouses listed which is super handy. Grab or download a free copy of the comprehensive Cooks Tour Travel Guides. Carry some spare cash in case of EFTPOS facilities being down. Pack water and food for energy during the drive. The Road Safety Commission recommends 4 litres per person per day in the outback. There are roadhouses along the highway with meal options. Premade snacks that worked well with us were sandwiches, sushi hand rolls (boil some sushi rice add a protein and wrap into a pocket with Nori sheets), raw balls, bananas, apples. Plan rest stops along the way. Have a good nights rest and try to tackle most of the driving during the day. Pack a few car supplies like a spare canister of petrol, car tyre, water, radiator stop leak and coolant. Bring a roll of biodegradable toilet paper, you just never know! 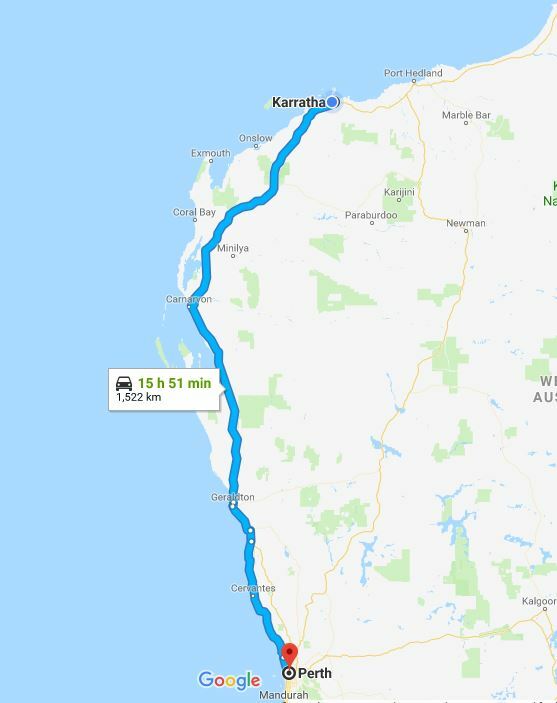 It’s a long drive, our destination was Karratha and the drive to the Pilbara tow is 1,548km and there are plenty of options to consider depending on if you are carrying a load or not. 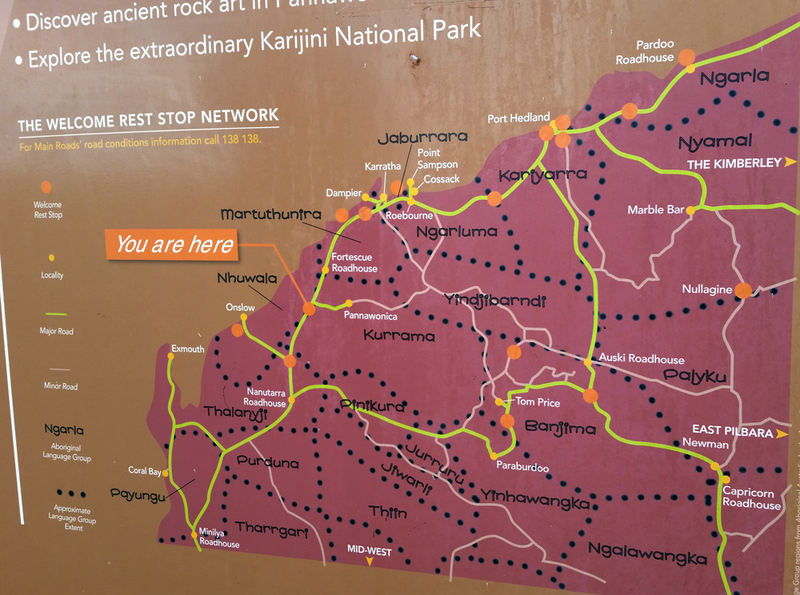 We drove along the sealed highway – Brand Highway and North West Coastal Highway all the way to Karratha, but with a 4WD there are some fantastic red dirt roads to other towns in the Pilbara. Our first journey we overnighted in airbnb units in Kalbarri and Carnarvon while we drove for 3 days. On reflection now, we thought this was a little drawn out due to having the trailer and needing to unload some items from the car each night and then back into the car. Returning to Perth we carried out the drive in one night and two days which worked out great for us. We left Karratha in the afternoon driving straight to Carnarvon, spending the night in a motel with secure trailer parking and a 24 hour coffee machine in the reception area. The next morning we drove straight to Perth. People we had met, have completed the trip in one drive leaving Karratha in the early hours and arriving into Perth in the late evening. To do this in the other direction might carry a little more riskier as driving at night from Carnarvon to Karratha, there is the possibility of encountering animals on the road. Cows do go onto the road at night for warmth and are quite difficult to spot. So an overnight stop is advisable. With a bit of time, it’s also worth mentioning to detour off the highway to some of the coastal towns along the coral coast like Coral Bay and Exmouth. Actually if you look at a map, there are quite a few towns between Perth and Karratha to extend the drive into a leisurely one. Airbnb homes, motels, 24 hour stopping bays, roadhouses with camping facilities are all fantastic options to rest following a day in the car. Roadhouses become a real treat breaking the road trip along the way and although they might not be as cheap as the local supermarket back in the city, spare a thought of costs to truck supplies up to this region and support these local businesses because in addition to food, water, camping and toilets, they also provide region knowledge on road conditions and secret camping spots. 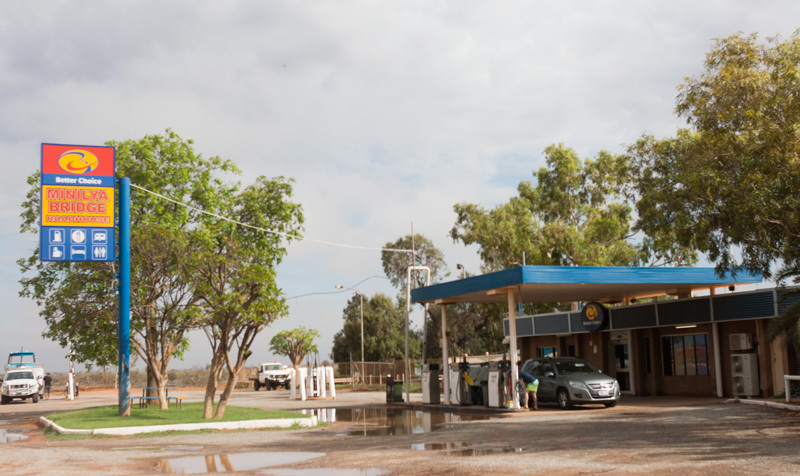 Billabong Roadhouse and Billabong Homestead Hotel Motel and Caravan Park between Geraldton and Carnarvon also offers fuel facilities and souvenir shopping. 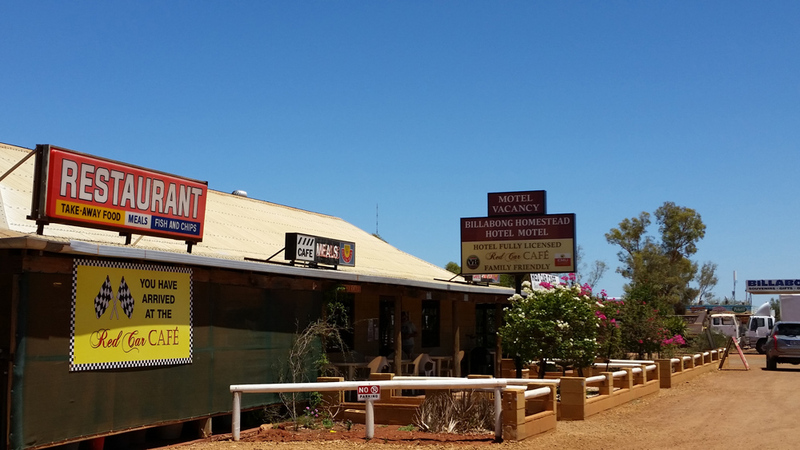 Carnarvon is only 6km from highway which makes a good stopover for the long haul. At Minilya Road House stretch the legs and go for a short walk on the bridge over Minilya River which may be dry or full. Nanutarra Road House, offers a variety of cooked to order food and premade snacks. Fortescue Road House is a roadhouse close to Karratha. Main Roads Western Australia are responsible for the ‘main road network‘ which includes the highways and they have a resourceful web page on touring WA here. The maximum speed limit for towing a trailer or caravan is 100 kilometres per hour. 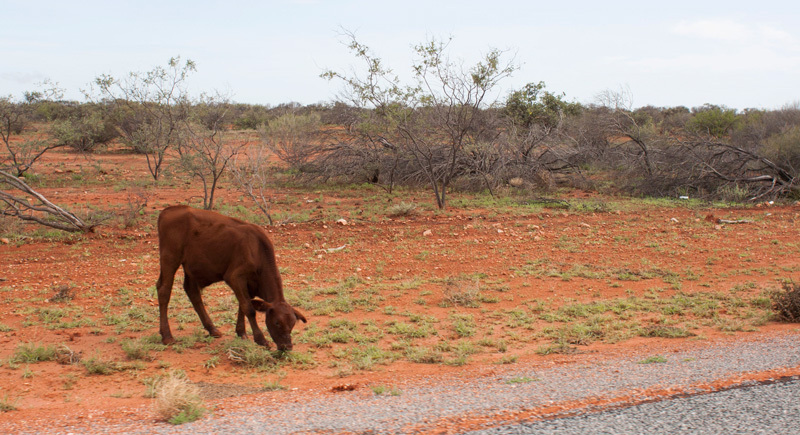 Some of the larger remote pastoral stations are unfenced and it is not uncommon to encounter wandering livestock. Take care of wildlife crossing the road, particularly when travelling at dawn and dusk. Slow down, keep a lookout, and if possible, avoid driving at night. Watch out for the stunning Wedge-tailed Eagle or other birds of prey that often feed off a dead animal carcass hit by cars. We found the Wedge-tailed Eagle was quite slow in moving off the road and unfortunately at a higher risk of being killed by vehicles. If you see one toot the horn. 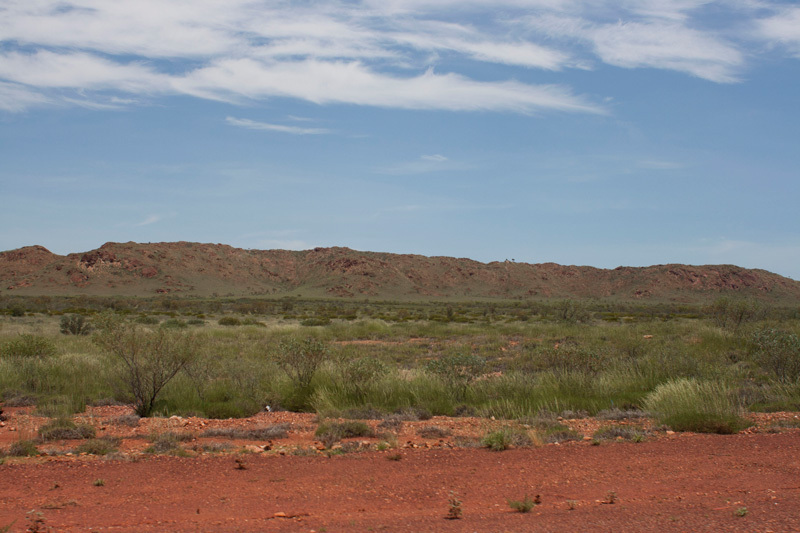 In the Pilbara, there are a number of Welcome Rest Stops which offer free WIFI and a chance to break from driving. The highway is for the most part a single dual carriage way. Long road trains up to 60 metres in length regularly drive these roads, be alert when driving past them. Restock supplies at the roadhouses along the way, road signs advise the next stop which could be 150 kms away. Fuel the car up. Stretch those legs! Plan evening meals ahead as some places in the regional towns may close early. The weather in the north is different to the south of Western Australia with a summer wet season that may bring about cyclones and heavy rainfall. While there is oodles of information available, in simplistic terms keep an eye on the weather forecast and road conditions. We found that the roadhouses along the highway display road conditions and weather warnings. Cyclone warnings are broadcast on local radio stations or you can phone 1300 659 210. The winter dry season is an ideal time to travel through the north and is also when tours, food trucks and events are happening. If you enjoy weather talk, visit the Pilbara Weather Guy Facebook page for an insightful look into fronts approaching the Pilbara. 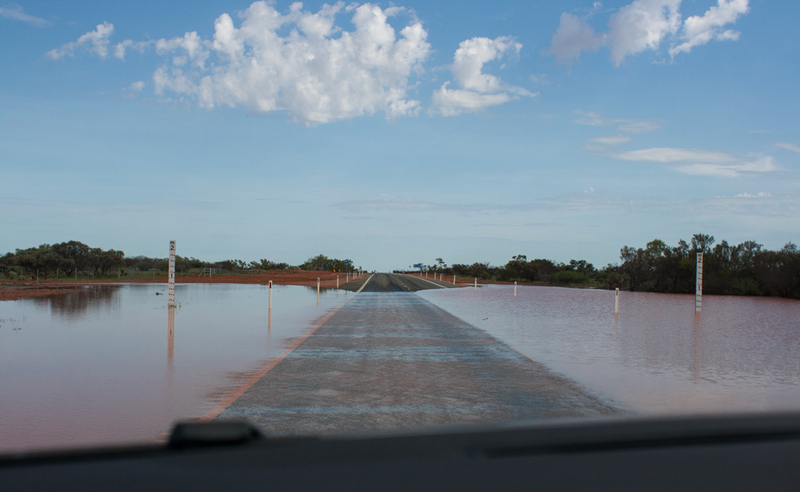 Keep up to date with road conditions on the main roads website and their Twitter account, particularly during the summer wet season when rain can cause water over the roads. If there is a substantial amount of water on the road, approach the area cautiously and never cross into water of unknown depth. Worst case, turn around and spend the night at the nearest roadhouse or 24 hour stopping bay. Refresh yourself on regional emergency information here. ABC Northwest is another good resource. DFES have a live warning system for the whole of Western Australia. Cool things to see along the way! 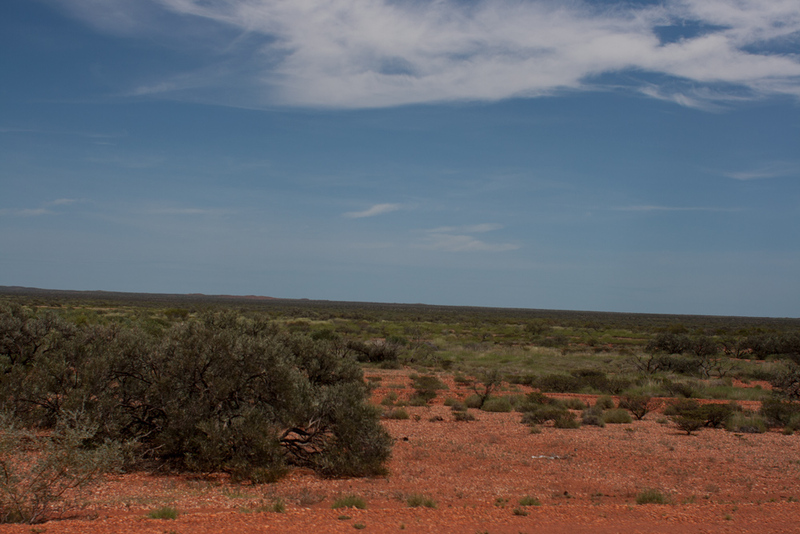 You may spot a pipe line along the journey, this infrastructure carries gas from the Pilbara all the way down to Perth. The OTC Dish Base in Carnarvon was once a part of the Apollo Moon Program. 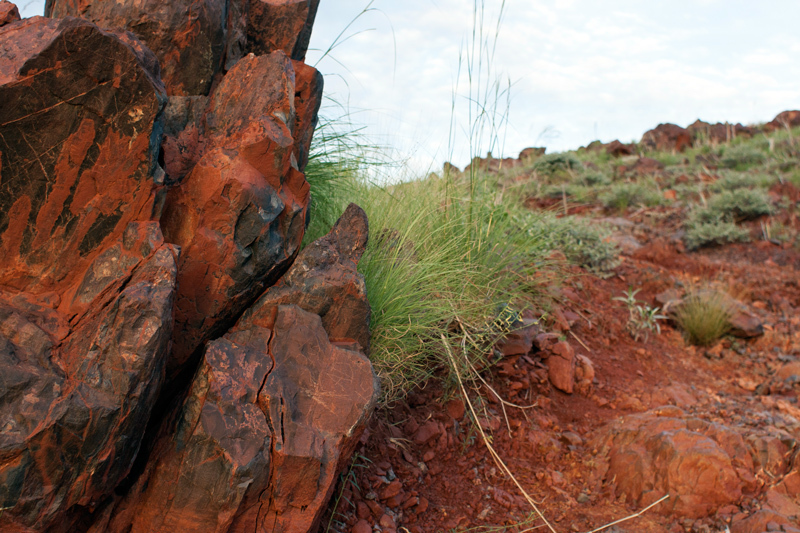 Notice the change in sand from a salmon pink colour to a rusty red when reaching the Pilbara. 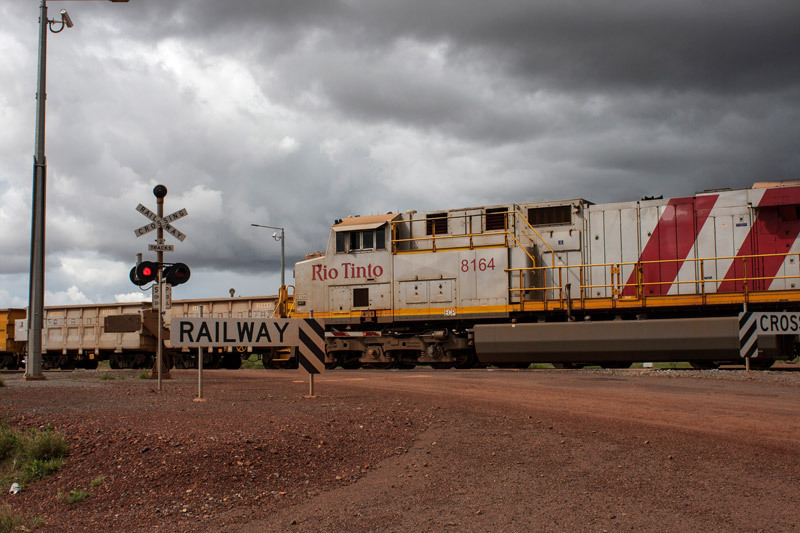 The Rio Tinto iron ore train crossing in one section of the North West Coastal Highway just before Karratha. Cross the invisible circle of latitude line, the Tropic of Capricorn travelling north from Carnarvon. Passing through Northwest 26th parallel, another circule of latitude, 26 degrees north of the Earth’s equatorial plane. In the Pilbara, some of the rivers run dry until a good summer wet season and they flourish. 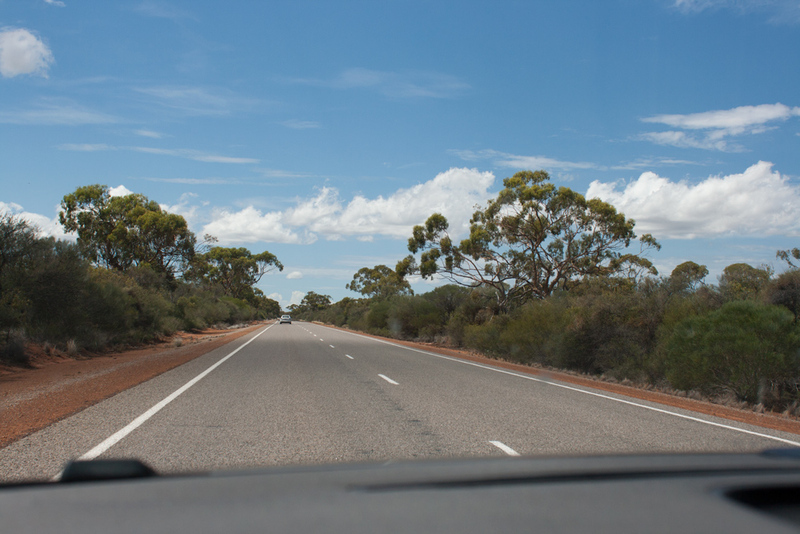 Along the Northwest Coastal Highway, you’ll drive close to the Gascoyne River, Ashburton River and Fortescue River. Royal Flying Doctors emergency landing airstrip near Nanutarra. Warlu Way follows the path of the Dream time sea serpent through the Pilbara and Kimberley regions. This sign at one of the rest stops demonstrates the extent of the different Aboriginal Language groups in the Pilbara. The North West Coastal Highway cuts through Cane River Conservation Park which is located close to Nanutarra. Notice the change in landscape in this section.